In just a few years, The Struts have found themselves massively embraced by some of the greatest icons in rock-and-roll history. Along with opening for The Rolling Stones, The Who, and Guns N’ Roses, the U.K.-bred four-piece was hand-picked by Mötley Crüe to serve as the supporting act for their last-ever performances, while Dave Grohl praised them as the best band to ever open for Foo Fighters. Formed in Derby, England in 2012, The Struts are Luke Spiller (lead singer), Adam Slack (guitar), Jed Elliott (bass) and Gethin Davies (drums). 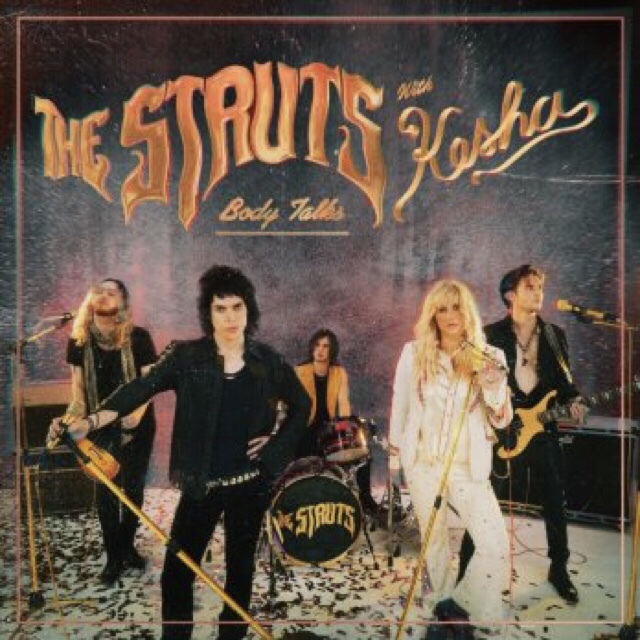 The Struts are currently working on the highly anticipated follow up to their 2016 debut, Everybody Wants, which will be released on Interscope Records this fall. This entry was posted in Uncategorized and tagged 360, 360 Magazine, apple music, Body Talks, Grammy, guns n roses, iTunes, Kesha, Luke Spiller, Madison Smushkevich, popstar, Rainbow- The Film, rock and roll, single, soundcloud, spotify, The Body Talks Tour, the rolling stones, The Strutd, The Who, Vaughn Lowery, vevo, YouTube on August 29, 2018 by wp360mag.